First of all this is a flavor from the Just collection. 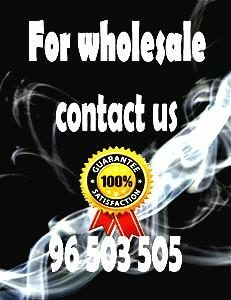 Most important is that is offered by the most wanted brand in e liquid Sir Paman. Furthermore the Blue Energy is a very strong and tasteful liquid. If you are an energy drink lover, then your going to love this liquid into your vape. The taste is exactly as if you were drinking your favorite energy drink. JUST try it and your never gonna be apart from it. Finally the Just collection has plenty of new amazing flavors for you to try. The 60ml Sir Paman Shake and vape Bottle contains 25ml of concentrated perfume, which is enough to produce 60 ml e-liquid. 1.Add the nicotine of your choice. 2.Fill the bottle up to the top. 3.Shake well and let the contents mature. Sir Paman Blue Energy 25ml of flavor in a 60ml bottle.